When you decide that the tropical landscape is the best theme for your garden, you need to know what kind of tropical plants is. The plants you grow should represent the tropical sense, so they have to be bright and different in colors. The plants which are commonly found to represent the tropical landscape are palm trees, bamboo, crotons, banana trees, and so on. All of them have foliage colors. Flower plants which are recommended for your garden with tropical landscape are poppies, magnolias, michelias, hibiscus, and so on. The flower plants offer the variety in colors. So just like in a tropical place, you will find your garden crowded with foliage and bright colors and they are so tropical. Not only choose and plants your trees and flowers recklessly, but also you need to arrange them in a good order. For example, you can do grouping the trees and flowers. It can be based on the colors of the plants or the type of the plants, that is up to you. As long as you can organize your tropical plants, you will find your garden to be truly a tropical landscape garden with a wonderful sight. Related to the tropical theme, the furniture must be something which has tropical theme as well. Tropical landscape is offering refreshing and relaxing atmosphere. So, the gazebo will be very amazing placed in your tropical landscaping garden. 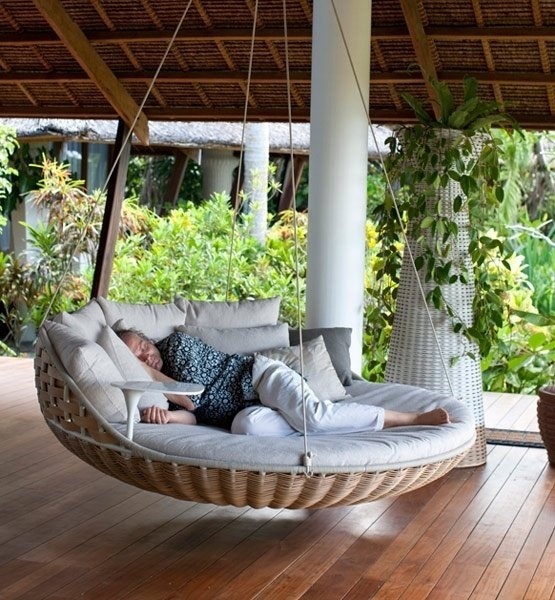 You can also tie a hammock between two trees just like in tropical places. 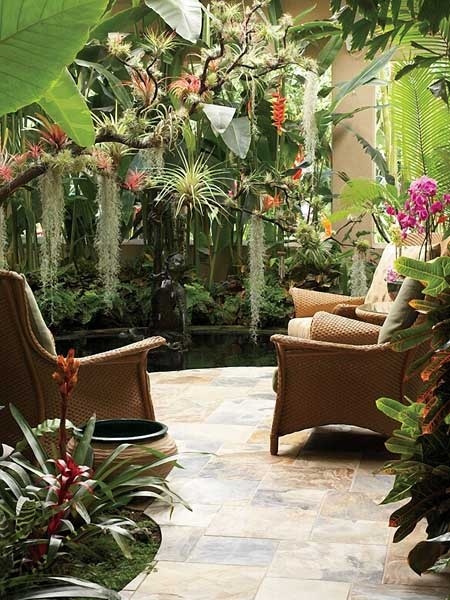 The tropical-themed lounge and outdoor wicker are also recommended for your garden with tropical landscape. But you have to make sure that all of the furniture can stand with the locale weather. 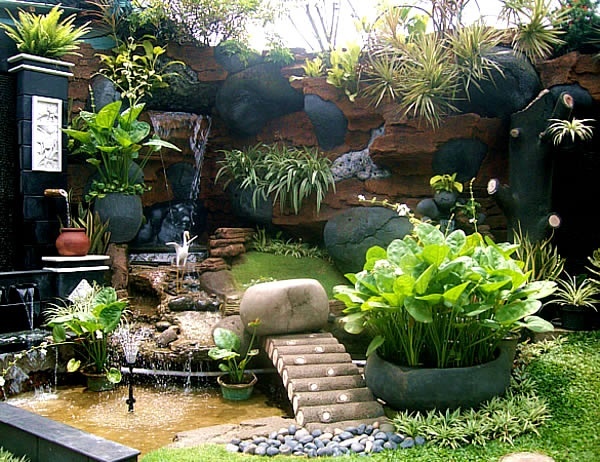 You can add a fountain or fish pond for your garden. The sound of the water fountains create a relaxing feel that you can easily find in tropical landscapes. The fish pond is offering the same as the water fountains. With the fish swimming inside, a fish pond will show you the meaning of being tropical. 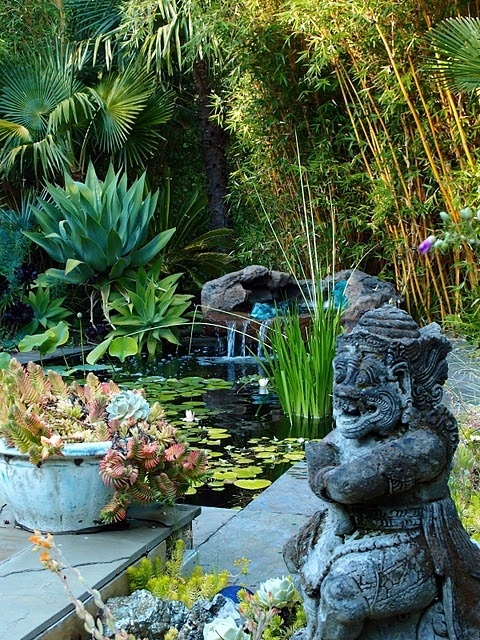 In addition, you can plant some water plants such as lotus in the fish pond or the water fountain. You can place some small tropical plants around the fish pond or the base of the fountain as well. 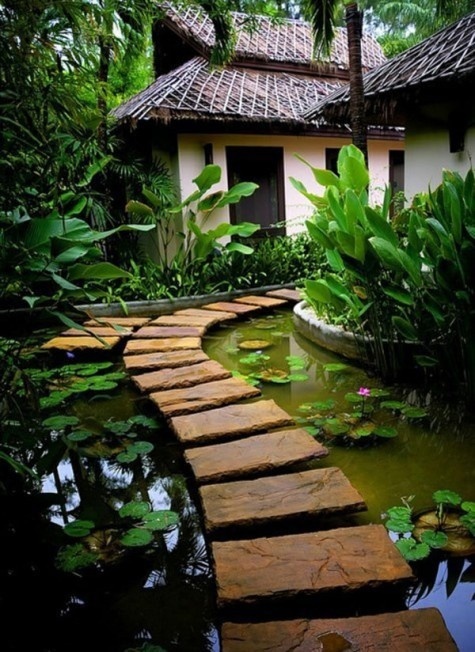 Only have some tropical plants in your garden is not enough to make your garden as the garden with tropical landscape. You need more icons of tropical landscapes. The furniture, the water feature, and the lighting needed to add, must have tropical theme. So, do not waste your time and start to bring the tropical sense to your garden.